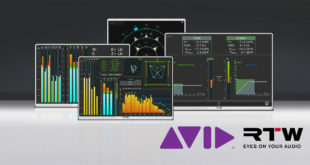 Waves Audio is now shipping two new tools and a combo for audio engineers mixing 360-degree and VR projects. 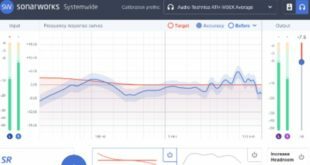 These new tools include the B360 Ambisonics Encoder, a new plugin for converting mono, stereo or surround audio into 360-degree Ambisonics B-format; Waves Nx Ambisonics, a new component of the Waves Nx Virtual Mix Room over Headphones plugin, designed for monitoring 360-degree Ambisonics B-format audio on regular stereo headphones; and Waves 360° Ambisonics Tools, a combo of both plugins. Ambisonics is currently the most popular technique for mixing audio in a full spherical 360-degree sound field. The most common Ambisonics format, used in VR as well as in Google and Facebook 360 videos, is a four-channel format called B-format. 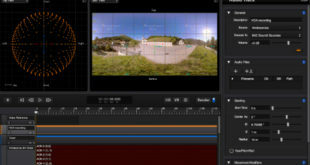 Waves B360 can be used in two ways: By placing the plugin on each separate mono or stereo channel for precise positioning/panning of that channel in a 360-audio mix; or by completing a mix first in a conventional stereo or surround environment, and then placing B360 on the entire finished mix as an Ambisonics B-format convertor. 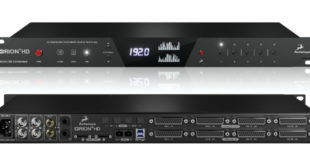 In either case, B360 lets users control the mix’s width, elevation, and rotation, as well as position the different elements in the mix inside the three-dimensional sound field. Waves is also now offering Nx Ambisonics, a new component of the Nx Virtual Mix Room over Headphones, a plugin that recreates the three-dimensional acoustics of a professional mix room inside any set of stereo headphones. By binauralising the audio for headphones, Nx Ambisonics lets mixing engineers listen to their B-format mixes when they don’t have access to a multi-directional speaker array. For improved accuracy, Nx Ambisonics offers full personalisation to a user’s individual head measurements, as well as a visual spatial meter representing the audio frequency content in every direction of the three-dimensional sound field. For enhanced 3D realism that embraces the VR experience, Nx Ambisonics also offers an integrated high-quality, high-speed head tracking solution, using the compact Nx Head Tracker Bluetooth device or a computer’s camera. 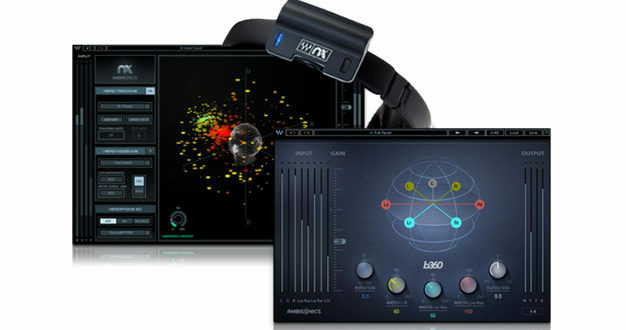 Waves is also offering a combo: Waves 360° Ambisonics Tools, which includes the B360 Ambisonics Encoder, the Nx Virtual Mix Room (with the Nx Ambisonics component) and the Nx Head Tracker.